Right at the outset, Victorinox was clear about what it wanted from its new watch. It had to be authentic, robust and reliable in all conditions – just like the Swiss Army knife on which the brand has build its reputation. That watch turned out to be the Inox. Designed and built to withstand unusual levels of stress, it has passed a battery of 130 ruthless strength tests with flying colours, and has been further reinforced with a removable bumper protector composed of nylon and silicone. Among the 130 were 30 exclusively designed tests to certify Inox as a timepiece “made to last”. 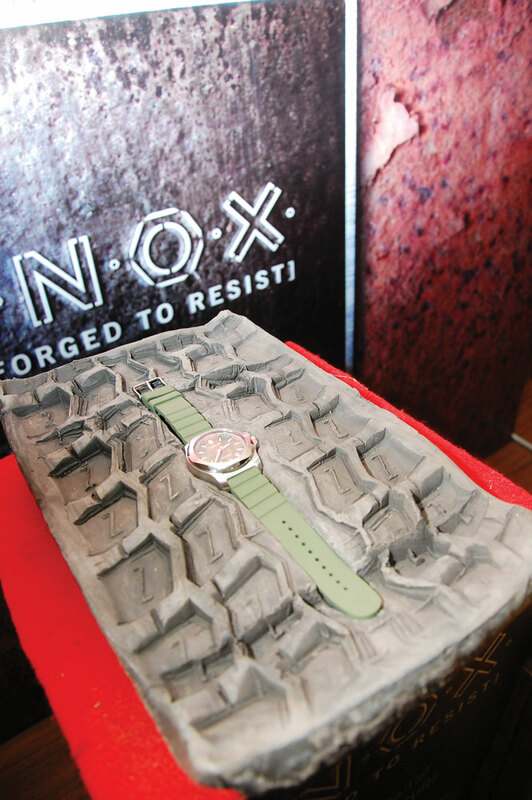 Inox can, for example, withstand a 10-metre drop onto a concrete surface, have a 64-tonne tank drive over it, and resist two hours in a washing machine as well as in a sandstorm. It can resist variations in temperature from -51° C to +71 ° C and 12G forces of acceleration and deceleration. The new model has also been subjected to attack by corrosive products such as gasoline, solvents, oils, cleaning products and insecticides. Inox pays tribute to the history of Victorinox. Its name honors an early 20th century invention that did much for the development and success of the Swiss Army Knife: stainless steel. Inox (French for stainless steel) is synonymous with material strength, durability and resistance to corrosion and is a rightful heir of the original Swiss Army knife. The India launch of Inox took place last month at Kochi. In recent years the city has witnessed large investments, thus making it one of the fastest-growing second tier metro cities in India. In all, 150 guests including HNIs of Kochi, members of the media, watch retailers from all over India and film personalities, participated in the launch event. C J Chandhoke, CEO Victorinox India, along with Debraj Sengupta, Country Head, Timepieces, hosted the ceremony. 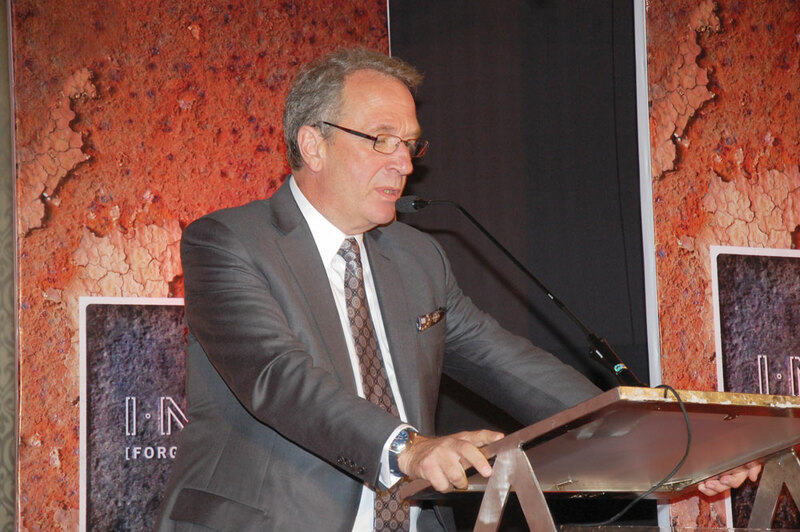 The chief guest was Michel Hade, International Sales Head at the company’s headquarters. Victorinox Swiss Army also announced its tie-up with an NGO, Make A Difference. Over the next three years, the brand will donate a portion of the sales proceeds from each Inox towards education of the underprivileged. As has been its annual practice, this year too Victorinox Swiss Army felicitated young achievers. Rock climber Tuhin Satarkar and white water rafter Sunil Bhandari were the daring sports personalities who made the cut this year. 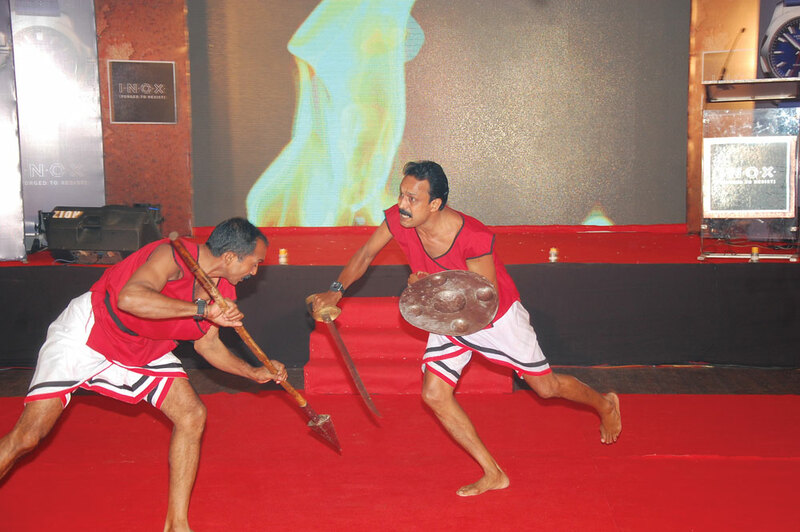 Apart from a music performance by rock band Rocazaurus, the evening featured talented fighters and dancers wearing the INOX watch and performing the Kalaripayattu, the amazing Indian martial art and one of the oldest fighting systems in existence.